These might not be the One Eyed One Horned Flying Purple People Eater - but I think they might be cousins! 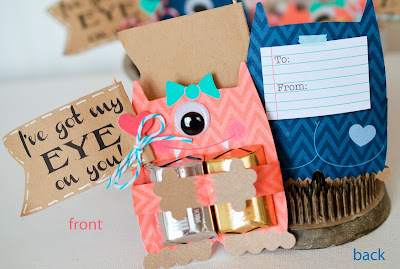 These one eyed monsters are adorable, easy and perfect for Valentines Day! Aren't they fun? Look at the cute little hiney! I think these are great for kids and adults! How about making your co-workers day? Or giving a friend a laugh? Kids will love these! And I guarantee if I was still teaching, I would be making about 28 of these for my kids. You can get Boy Monster Hugs and Girl Monster Hugs at Stampin' Up. They are really cool just the way they are - but I started thinking.... And came up with a little flag to add to the fun. Download the sentiment sheet below. 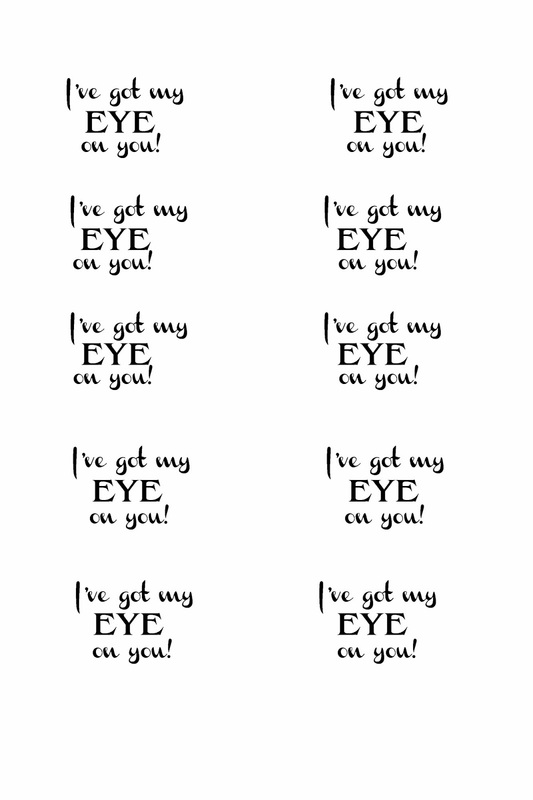 Print onto kraft (or color of your choice. I went with kraft to match their hands and feet.) Then cut into flags. They can be cut to work on the left or right of the monsters. Score to make it easier to wrap around a toothpick. Tip: Cut off the tip of the toothpick to make it less pointy - less likely to poke someone that way. I used one glue dot and a little additional bit of liquid glue to hold the flag in place. The end of the toothpick is right under the nuggets and doesn't seem to bother them in the least. Your little monsters can hold one nugget or two. There is a sticker built in to hold it in place. It seems sticky enough, but I like redundancy. I added a couple of glue dots to the back of the nuggets. Their arms have little slits so the monsters can hug the nuggets until someone special is ready for a sweet treat. With each set of monster hugs you get: 18 monsters, 24 googly eyes, and 24 heart stickers. These are lovely quality and even the stickers are sturdy. They are only available for a limited time. 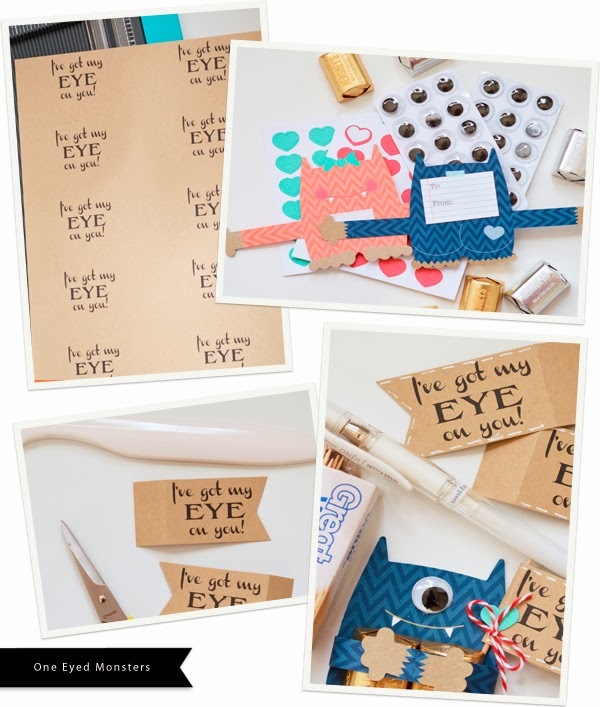 This is a great time to shop at Stampin' Up. We've still got some great products at 80% off in the clearance Blitz. Beginning January 3rd, a new catalog Celebrate the Everyday, will be available. I've already shopped and had to force myself to stop! You'll love some of the new products. INCENTIVE: Be one of the first four to place a Stampin' Up order with me beginning January 3rd for $50 or more. Make sure you are on my page when you order. 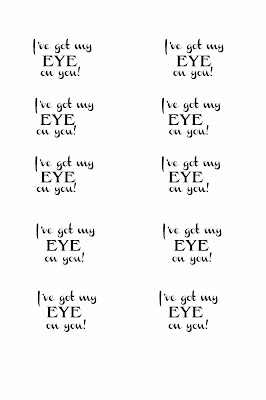 I will email you using the email you give Stampin' Up. You will then get to pick an item or items of your choice from the Celebrate the Everyday catalog that equal $10.00 or less. Don't add your free items to your order - wait for my email. Who can you think of that would like to get a one-eyed monster hug from you? 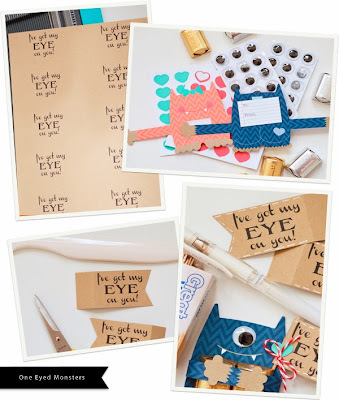 Oh my gosh, these are so darned cute! Wow! Totally CUTE! Love them! Put a big smile on my face! Hope you had a wonderful Christmas! And, wishing for you and family a Happy New Year! They are so cute and great gift ideas. 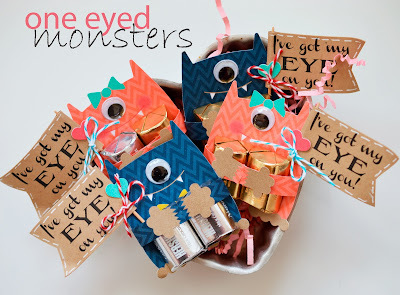 These are so adorable - even if they are little one eyed monsters :-) Fabulous! Happy New Year Lori. Hugs, Karon. These are so adorable. They have me smiling. Happy 2014 my friend.